1. Download the free OverDrive app from the App Store. All you will need is your Apple ID and password. 2. When you open the app, it will direct you to open the menu in the left corner of the screen. 3. Next, you will be asked to add a library. Find the Webster Groves Library by searching by name or zip code. Add the Municipal Library Consortium to include all the Libraries within our Consortium and to start browsing titles. 1. Click on ‘Municipal Library Consortium’ from your app menu (three lines on upper left side of screen). This will take you to the library’s homepage of OverDrive where you can browse for eBooks and Audiobooks. 2. When you select a title, click on the word “Borrow” underneath the title image. 3. Next, you will be prompted to sign in and asked to enter your entire library card number. 4. The book will now be checked out. Download it by going to your Loans page (books icon) and clicking on “Choose a Format” for eBook. Next, click on EPUB eBook. If it is an Audiobook, you will be asked to “Add to app” (the only format is MP3 for Audiobooks and will already be selected). 5. Swiping the screen to the right, or clicking on menu icon in the top left corner (three lines) will take you to your borrowed titles when you select “Bookshelf” from the menu. 6. All the books that you have borrowed from the library will appear on this screen. 7. Clicking once on the title will open your Audiobook or eBook. 8. To borrow more items, tap ‘Add a title’ from your Bookshelf. If a book is currently checked out, you can place a hold. When you find an item, you will be prompted to sign in if you have not already and then to confirm your e-mail address. The library will notify you when your hold is available. You will have 3 days to check out your book if you have not opted for automatic check-outs. Next, choose your holds from the menu on the left side of the page. Next to the cover of the item there will be an option to download. If you have finished your book before the loan expires, you may return the item by pressing and holding on the title. You will be given the option to delete, return, or share the book that you have finished. Expired loans will automatically be returned. *A total of 10 eBooks and Audiobooks may be checked out at a time. Is an Audio or eBook not opening or playing on your device? Go to your account by selecting ‘Municipal Library Consortium’ from the menu. Then, choose the books icon for your Loans page. The Loans page in your account will show you the titles that are currently checked out. Download again the titles that are not working. Titles that are not compatible with your Apple device will not display a download button. 5. Open the OverDrive app and follow the prompts to create an OverDrive account and log in. If you are under 13, select I am under 13 years old instead. 6. Tap the icon (three lines) in the top-left corner to open the Home menu. Click on Manage libraries, then tap + to find the Municipal Library Consortium by zip code or name. Tap on the star to save the library as a favorite. Tap on the library’s name to start browsing. 7. The OverDrive app functions the same as the web browser. You can search for specific titles and authors by typing them into the search bar at the top of the page or you can browse by Collections and Subjects. 8. When you are browsing for items, you can choose to look at only the titles that are currently available for checkout by selecting “Now available” from the drop-down menu under Collections (either Audiobooks or eBooks). 9. When you have selected an item, click on the word “Borrow” underneath the title image. 10. Next, you will be prompted to sign in by entering your library card number in order to check out the item. 11. Once you have signed in, your device will begin loading the selected title. Some devices may prompt you to download the title afterwards. You can go to your Loans page (books icon) to view checked out titles and download them onto your device. 12. When the title has finished downloading you can find it in your OverDrive Library. You can access your library by opening the settings menu (upper left icon – three lines) and selecting the option “Bookshelf.” Tap the title to start reading or listening. If an eBook or Audiobook is currently checked out, the banner above the title image will be white and display “Wait list”. You can click on the words “Place a hold” underneath the title image. If you have not already signed in, you will be prompted to as well as to confirm your e-mail address. The library will contact you when your hold is available. After you have received your e-mail you will have 3 days to check out your hold if you have not opted for automatic check-outs. Next, choose your holds from the menu on the left side. Next to the cover of the book there will be an option to download the book. 1. Go to www.adobe.com/products/digital-editions.html and select “Download Now.” Next, select the version for your computer (either PC or Mac). Make sure your computer is authorized with the same Adobe ID as your NOOK! 1. Go to http://overdrive.mlcstl.org to browse recently purchased eBooks and Audiobooks, browse subjects, or use the search bar at the top of the page to find a book. 2. You can search for specific books by title and author name in the search bar at the top of the page or you can browse the Collections and Subjects. 3. When books are displayed, you will see above the title image either a blue banner with “Available” for items you can check-out now or a white banner with “Wait list” for items you can only place holds on. To see the book format, underneath the title image it will display headphones with the word Audiobook or display a book with the word eBook. If a book is currently checked out, you can place a hold. You will be prompted to sign in if you are not already and asked to confirm your e-mail address to receive a notice when it becomes available. When you receive a notification that your hold is available, you will have 3 days to go to your account and check out the book, if you have not opted for automatic check-outs. 4. If you are looking for a book that you can download immediately, choose to view available titles by going to the Collections drop-down menu near the top left corner of the screen. 5. When you have selected a title, click on the word “Borrow” underneath the title image. 6. Next, enter your library card number to sign in and check out the book. 8a. 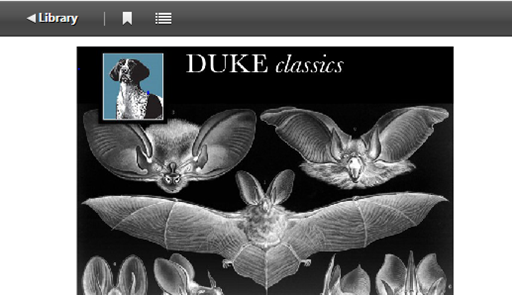 For eBooks, click on “Choose a Format” next to the title and select ePUB eBook. 8b. For Audiobooks, click on “Add to App” and the format, MP3 Audiobook will already be selected. 12. Attach your NOOK to the computer with the USB cable. 1. 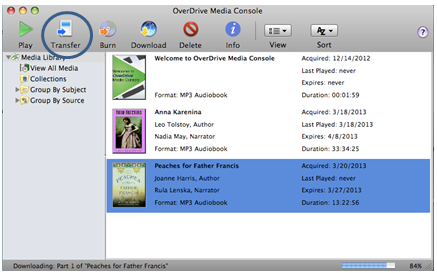 Open your web browser, and go to http://overdrive.mlcstl.org to browse new eBooks and Audiobooks. You can search by Subject or Collection, or type in an author or title in the search bar at the top of the page. 2. When books are displayed, you will see either a blue banner with “Available” for items you can check-out now or a white banner with “Wait list” for items you can only place holds on. To find out if the item is an eBook or Audiobook, look at the information underneath the title image. The headphones icon symbolizes an Audiobook and the books icon symbolizes an eBook. If a book is currently checked out, you can place a hold. Click on the word “Place a hold” underneath the title image and you will be prompted to sign in, if you have not already. Confirm your e-mail address to receive a notice when it becomes available. When you receive a notification that your hold is available, you will have 3 days to go to your Loans page (books icon) and check out the item from the Holds section. If you have opted for automatic check-outs, the item will appear in your check-outs already ready for you to download. 3. If you are looking for a book that you can download immediately, choose to view available titles by going to the Collections drop-down menu near the top left corner of the screen. 4. After you have found a book, click on the word “Borrow” underneath the title image. 5. Next, you will be prompted to sign in with your library card number to check out the book, if you have not already. 6. After you have signed into your account, you will be taken to your Loans page (books icon). 7. For an eBook, click on “Choose a Format” and select Kindle Book. 8. At this point you will be redirected to the Amazon.com website. Choose “Get Library Book” and enter the Amazon e-mail address and password that was used to register your Kindle. 9. Your title will be downloaded to the carousel on the home screen of your Kindle. Click on the title to open the book and start reading. When you are finished with the book, you can press and hold on the title from the carousel. A menu will open that will give you the option to remove it from the carousel. There’s no need to remember due dates. Books will automatically be returned when the loan has finished! 1. Down load the OverDrive app from the Amazon appstore. 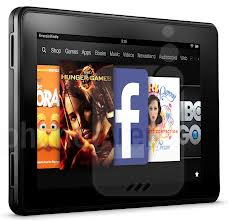 This app will allow you to download additional formats on your Kindle Fire, including MP3 Audiobooks and EPUB eBooks. 2. If you plan on downloading EPUB eBooks, you will have to authorize your device with an Adobe ID when you first download an eBook. The Adobe Digital Editions box will appear when you click on download. 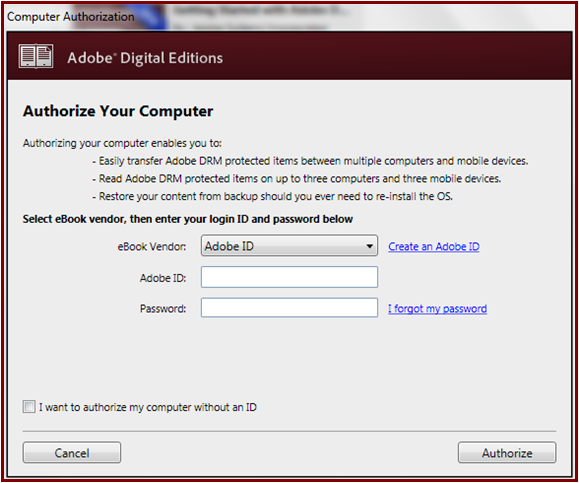 (The Adobe Authorization can also be accessed in the app settings). 3. If you don’t have an ID, select “Get a free Adobe ID.” You will only have to complete this step once. You will not be able to download EPUB eBooks without creating an Adobe ID. The app functions the same as the website, but there are a couple initial set-up steps for the app. You will not be able to download Kindle format books from the OverDrive app. 5. Open “Get Books +,” and find the Municipal Library Consortium to start browsing through the OverDrive app. Remember to select MP3 or EPUB when downloading your titles! 6. Your bookshelf is where you will find your downloaded Audiobooks and EPUB eBooks. 1. Go to http://overdrive.mlcstl.org to browse recently purchased eBooks and Audiobooks, browse subjects, or use the search bar at the top of the page to find a book by title or author name. 2. When books are displayed, you will see either a blue banner displaying “Available” for items you can check-out now or a white banner displaying “Wait list” for items you can only place a hold on. To see what format the book is comes in, see the information underneath the title image. The symbol for headphones is an Audiobook and the symbol of a book is an eBook. If a book is currently checked out, you can place a hold. You will be prompted to sign in first if you have not already and confirm your e-mail address to receive a notice when it becomes available. When you receive notification that your hold is available, you will have 3 days to go to your account and check out the book if you have not opted for automatic check-outs. 3. If you are looking for a book that you can download immediately, choose to view available titles going to the Collections drop-down menu near the top left corner of the screen. *You can choose items that are available now in either eBook or Audiobook format. 5. Next, enter your library card number to sign in and check out the book. 6. After you have signed into your account, you will be taken to your Loans page (books icon). All of your currently checked out books will display on this screen. 8. At this point you will be redirected to the Amazon.com website. Choose “Get Library Book” on the far right side of the page and enter the Amazon e-mail address and password that was used to register your Kindle. If your Kindle is Wi-Fi compatible, many titles will automatically download the next time you connect your Kindle to Wi-Fi. If your Kindle does not support Wi-Fi or If a book is restricted by the publisher, continue following the directions to download via USB.